No matter how successful you are, I’m sure that, from time to time, you have some of “those days.” You know the days that I’m talking about. The days when you might question yourself more than usual. The days when things are going as well for you as they normally do. We all face ups and downs along the way and it can be difficult to stay motivated under those circumstances. 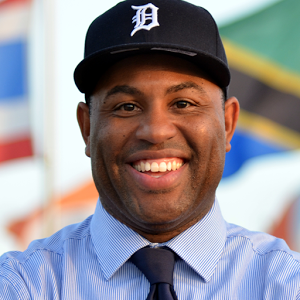 If you’ve ever dealt with this type of challenges, then you need to meet Eric Thomas, a.k.a. ET The Hip Hop Preacher. Eric’s notoriety skyrocketed when a speech he gave to a group of students went viral. If you haven’t seen it, you need to watch the video below so that you’ll be properly prepared for the interview. In this episode, we’ll talk with ET about how he overcame tremendous obstacles (including homelessness, and dropping out of high school) to become a highly sought after motivational speaker, author, voice over artist and entrepreneur. If you feel like you have things you need to over come in life, or you want to build a platform to help others do so, you’ll love this episode. Get a new group. Surround yourself with people that will elevate you, not bring you down. Start an accountability group or a personal board of directors. Start with WHY. Focus on why you do what you do, instead of what you hope to gain from it. Here’s the quote that started it all! 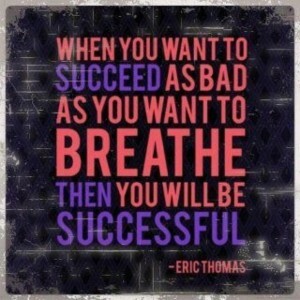 Action Item: Start an accountability group with 5 people that you can learn from and want to see you succeed.